Take a look at the sentence below. Do you understand what the quote means? Or can you remember the full sentence itself? If you can’t, you’re not the only one. It’s the longest ever game title in the world as of now. You can see that the vehicle available to the player are quite a variety, choices including big or small, auto or manual transmission and normal or special car. 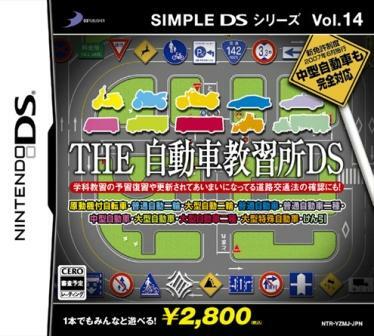 And if you really cannot remember the longest game title, here is a simple translation: Simple DS Series Vol.14: The Vehicle Learning DS.